Diagnostiken av knöl i tyreoidea uppvisar kvalitetsbrister. 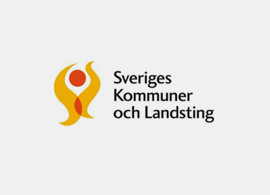 Nationella riktlinjer bör införas Läkartidningen 2011; 108: 664-8 Jansson S, Eggertsen R, Grunditz T, Mölne J, Nyström E, Reihnér E, Rostgård Christiansen L, Tennvall J. Impact of modern techniques on short-term outcome after surgery for primary hyperparathyroidism: a multicenter study comprising 2,708 patients. Langenbecks Arch Surg 394(5):851-60, 2009 Bergenfelz AO, Jansson SK, Wallin GK, Mårtensson HG, Rasmussen L, Eriksson HL, Reihnér E.
Bergenfelz A, Jansson S, Kristoffersson A, Mårtensson H, Reihnér E, Wallin G, and Lausen I.
Scandinavian Quality Register for Thyroid- and Parathyroid Surgery: Audit of surgery for primary hyperparathyroidism. Langenbeck ́s Arch Surg 392:445- 451, 2007 Bergenfelz A, Jansson S, Mårtensson H, Reihnér E, Wallin G, Kristoffersson A, Lausen I. Risk factors for medically treated hypocalcemia after surgery for Graves' disease: a Swedish multicenter study of 1,157 patients. Hallgrimsson P, Nordenström E, Almquist M, Bergenfelz AO. World J Surg. 2012 Aug; 36 (8):1933-42. Determinants for malignancy in surgically treated adrenal lesions. Wright L, Nordenström E, Almquist M. Langenbecks Arch Surg. 2012 Feb; 397 (2):217-23. Epub 2011 Sep 21. 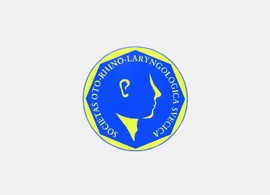 Management of the exterior branch of the superior laryngeal nerve among thyroid surgeonsResults from a nationwide survey.Almquist M, Nordenström E.Int J Surg 2015 Aug;20:46-51. doi: 10.1016/j.ijsu.2015.06.022. Epub 2015 Jun 11. Computed tomography for preoperative evaluation of need form sternotomy in surgery for retrosternal goitre.Malvemyr P, Liljeberg N, Hellström M, Muth A. Risk of recurrent laryngeal nerve palsy in patients undergoing thyroidectomy with and without intraoperative nerve monitoring. 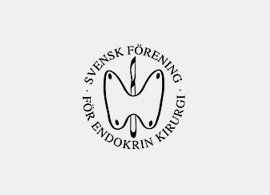 Bergenfelz A, Salem AF, Jacobsson H, Nordenström E, Almquist M; Steering Committee for the Scandinavian Quality Register for Thyroid, Parathyroid and Adrenal Surgery (SQRTPA). Br J Surg. 2016 Aug 18. doi: 10.1002/bjs.10276. Risk factors for complications after adrenalectomy: results from a comprehensive national database.Thompson LH, Nordenström E, Almquist M, Jacobsson H, Bergenfelz A. Langenbecks Arch Surg. 2017 Mar;402(2):315-322. The Effect of Parathyroidectomy on Risk of Hip Fracture in Secondary Hyperparathyroidism.Isaksson E, Ivarsson K,Akaberi S, Muth A, Sterner G, Karl-Göran P, Clyne N, Almquist M. World J Surg. 2017 Sep;41(9):2304-2311. doi: 10.1007/s00268 017-4000-0. Risk of Complications with Energy-Based Surgical Devices in Thyroid Surgery: A National Multicenter Register Study.Carlander J, Wagner P, Gimm O, Nordenström E, Jansson S, Bergkvist L, Johansson K. World J Surg. 2016 Jan;40(1):117-23. Mortality in patients with permanent hypoparathyroidism after total thyroidectomy.Almquist M, Ivarsson K, Nordenström E, Bergenfelz A.
Br J Surg. 2018 Sep;105(10):1313-1318. doi: 10.1002/bjs.10843. Epub 2018 Apr 17. A nested case-control study on the risk of surgical site infection after thyroid surgery.Salem FA, Almquist M, Nordenström E, Dahlberg J, Hessman O, Lundgren CI, Bergenfelz A.World J Surg. 2018 Aug;42(8):2454-2461. doi: 10.1007/s00268-018-4492-2. Permanent hypoparathyroidsm after total thyroidectomy in children: Results from a national registry.Nordenström E, Bergenfelz A, Almquist M.
World J Surg. 2018 Sep;42(9):2858-2863. doi: 10.1007/s00268-018-4552-7. Preoperativ lokalisationsundersökning hos 1792 patienter med primär HPT. Bergenfelz A, Jansson S, Kristoffersson A, Mårtensson H, Reihnér E, Wallin G, Lausen I. Kirurgveckan i Umeå 18-22 Augusti, 2008. Hur ofta är thyoideacancer en oväntad postoperativ diagnos? Resultat från det skandinaviska kvalitetsregsitret för halskirurgi.Reihnér E, Bergenfelz A, Lausen I, Jansson S, Kristoffersson A, Mårtensson H, Wallin G. Kirurgveckan i Umeå 18-22 Augusti, 2008. Thyroideakirurgi hos äldre patienter (Ivar Sandström föreläsning, kirurgveckan, Göteborg 2010) Anders Bergenfelz. Hallgrimsson P, Almquist M, Nordenström E, Bergenfelz A.Risk factors for medically treated hypocalcemia after Surgery for Graves ́disease: a Swedish multicenter study of 1157 patients.Presenterad vid European Surgical Associations kongress i Helsingfors 2011. 27.Determinants for malignancy in surgically treated adrenal lesions.Wright L, Nordenström E, Almquist M. Langenbecks Arch Surg. 2012 Feb;397(2):217-23. Presenterad vid ESES i Paris 2012. Bergenfelz A, Wallin G, Reihnér E, Jansson S, Eriksson H, Mårtensson H, Rasmussen L, Varhaug JE, Christiansen P.Reoperation for primary hyperparathyroidism.Presenterad vid European Society of Endocrine Surgeons W ork Shop 2009: Modern techniques in pHPT surgery; an evidence based perspective. Preoperativ lokalisationsundersökning hos 1792 patienter med primär HPT. Bergenfelz A, Jansson S, Kristoffersson A, Mårtensson H, Reihnér E, Wallin G, Lausen I.Kirurgveckan i Umeå 18-22 Augusti, 2008. Minimal invasiv endokrinkirurgi. 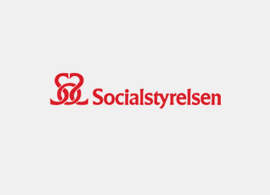 Symposium Kirurgveckan 2015 i Örebro. Magnus Kjellman et al.